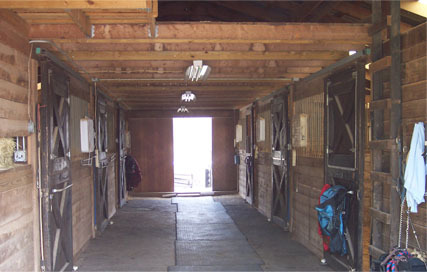 Our facility is best suited for the selective horse owner. The extra time and attention spent with each individual horse and owner is what sets us apart from other barns. Although we offer training and lessons we are not a competition barn. We strive to offer a comfortable relaxed environment for happy horses and owners alike, where all disciplines and breeds are welcome. Each horses personality is taken into account when choosing compatible turn out mates as well as stall assignments. We will never have more than 12 boarders.